This film describes an attempt to use a high-definition digital cinema system to produce content for a next-generation image system. 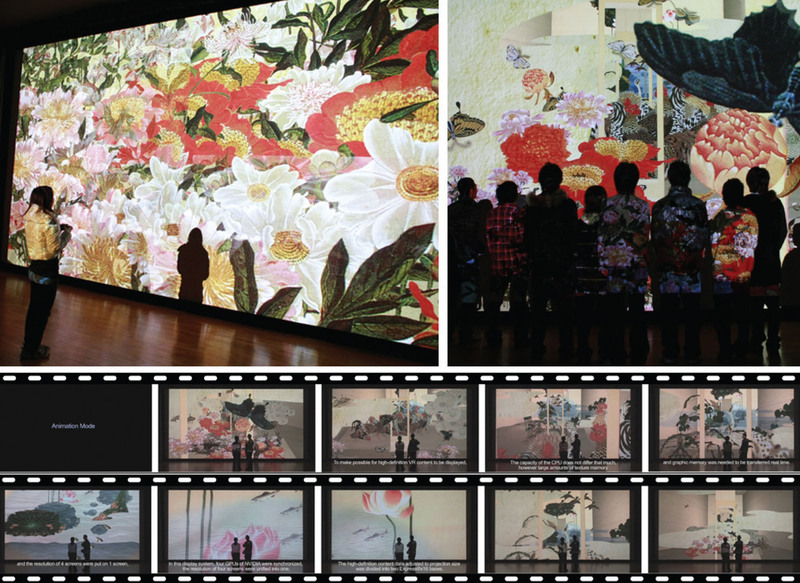 Paintings by Ito Jakuchu were used as prototypes to produce an immersive virtual environment that allows people to enter the paintings. The result reveals possibilities for new collaborative studies among various fields such as art, psychology, and cognitive science, and a larger-than-life display to analyze and understand cultural properties and art works.